Apple has discontinued its iPod Nano and iPod Shuffle personal media players. The only iPod that remains in Apple’s fleet is the iPod Touch, which is based on the iOS device hardware and software stacks. At present, Apple’s iPod Nano and iPod Shuffle are still available from retailers like BestBuy, but EOL of the outdated iPods once again signals that MP3 players are essentially a dead product category. Apple launched its first iPod in late 2001 and the player quickly gained popularity among users of Apple’s Mac computers. Initially, Steve Jobs did not want iPod to be compatible with Windows-based PCs as he considered the player to be an important selling point for the Mac platform as back then MP3 players from other makers were not sophisticated or user friendly. Moreover, in the lack of smartphones in Apple’s arsenal, iPod and iTunes (launched in early 2003) were in the center of its personal digital media strategy of the company. Other executives at Apple persuaded the CEO to make iPod and iTunes compatible with Windows in 2004 and this is when sales of the music player started to grow rapidly. Several years later, the iPod became Apple’s most successful product ever and brought the company billions of dollars. Over time, many third-party accessories were developed for iPods, creating an industry around one product. Besides, Apple’s iPod players were among of the most desired Christmas gifts in the U.S. in the second half of 2000s. Throughout its more than 15-year history, Apple’s iPod has changed its form-factor multiple times and switched hardware platforms for a dozen of times. For example, Apple’s initial iPods used miniature HDDs (including HGST’s and Seagate’s 1” hard drives in the iPod Mini), but eventually all of them switched to NAND flash memory. With iPod Touch, the players obtained hardware found in iPhones and started to use iOS. As sales of Apple’s iPhones increased, shipments of the company’s iPods declined because people now use smartphones to watch videos and listen to music. As a result, the company began to phase out the iPod. At first, Apple discontinued the iPad Classic player in 2014. 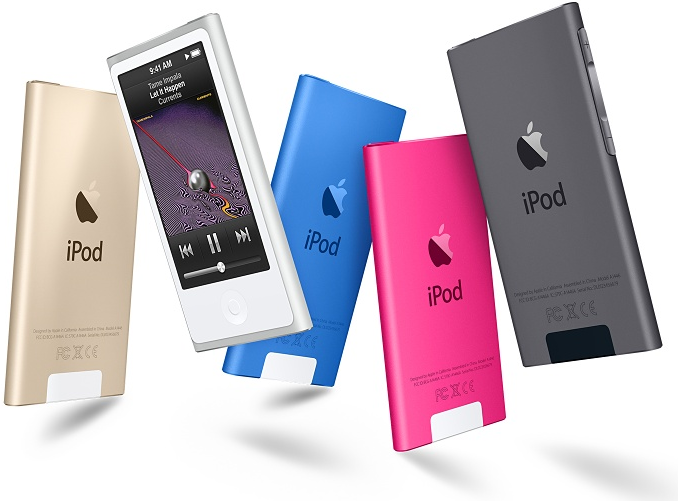 This week, the company EOLed its iPod Nano, iPod Shuffle, as well as iPod Touch with 16 GB and 64 GB of memory. The only iPods left are the iPod Touch models with 32 GB and 128 GB of storage. The discontinued iPod Nano and iPod Shuffle were released on 2012 and 2010, respectively. Moreover, the existing iPod Touch was launched in mid-2015. Officially, Apple claims that the discontinuance of the outdated iPods is a way to simplify the product family. On the other hand, due to dropping sales of personal media players (the company has not reported sales of players for years), it may simply make no sense for Apple to keep the cheap and unpopular models in the lineup. "Today, we are simplifying our iPod lineup with two models of iPod Touch, now with double the capacity, starting at just $199, and we are discontinuing the iPod Shuffle and iPod Nano," a statement by Apple reads. Sources: The Verge, Business Insider. I 100% agree with you that doing an iphone se as music player makes more sense than an ipod touch generally. After all you can get an iphone se 32gb for $199 from providers like tracphone, simple mobile, total wireless. You do not have to sign up for service for this $199 for 32gb. And with the ipod touch 6th gen (aka current) going for $199 to $249 (the MSRP) it just makes sense to go the iphone se route. Where I am quibbling is the ipod touch 6th gen is using the same memory and ram as the iphone 6. Sure the iphone se hardware is like an iphone 6s, but the iphone 6 / ipod touch 6th gen hardware is not EXTREMELY OUTDATED. Iphone 6 is still pretty fast with the a8, even though the a9, and a10 cpus are faster. Partly agree, but also I am talking about the US marketplace. And we have unintentional subsidies some business do on apple products (and this is a good thing for US consumers). Iphone SE MSRP is $399. Now companies like Verizon, AT&T, but also 3rd party MVNO do not pay $399 but get some lower price due to bulk purchasing. These "phone company providers" may gladly lose move selling you a phone at $199 that may cost them $250 or $300 for they figure if you get 6 months of phone service they will recap their "loss leader" phone price within a few months lets say 3 or so and thus any phone service after 3 months is profit besides maintence / variable costs. But the US market and Apple rules can't force you to activate a phone with these providers. You do not have to sign a contract. So in other words it is an act of faith, a subsidy that is not 100% always going to work out with ALL customers for there will be some free riders who buy the HIDDEN subsidy in the subsidized price. But in non US countries a company may not be willing to do this. Thus the old $249 MSRP for the ipod touch, and the new $199 ipod touch MSRP may make sense in some poorer country like in Asia, Africa, South America, etc. You want better hardware and the theoretical ability to use cell phone service at the later date...well then you will have to pay for it. How does that work? Like it can sync with iTunes like an iOS device, then play through bluetooth headphones? If so that's cool (though it needs more storage) and would be a sort of plausible iPod replacement for at least some uses.